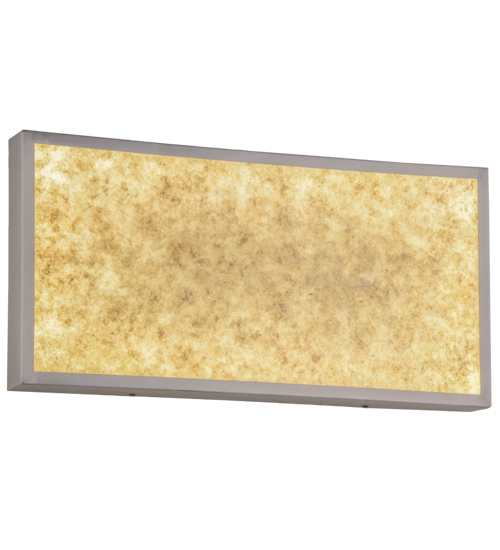 Description: Call it a wall sconce or illuminated artwork for the wall, this decorative lightbox features a thin rectangular profile highlighted with stunning Silver Mica in an abstract design. Handcrafted of aluminum, this lightbox frame features energy-efficient LED lamping for ambient light, energy savings and long life. Custom crafted in the Meyda manufacturing facility in the USA, the lightbox is available in custom colors, styles, sizes and lamping.